Troy Maschmeyer, Jr., President and CEO of Maschmeyer, Inc., possess over 30 years of experience in the construction and ready mixed concrete industries. 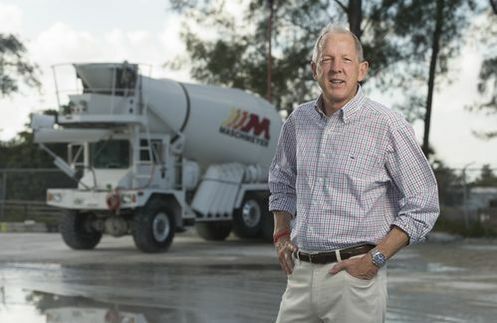 Troy founded Maschmeyer Concrete Company of Florida in 1986 and developed the firm into one of the leading independent concrete producers in the state. Troy was a founder of Florida Independent Concrete and Products Association (FICAP) and served as president in 1994. He also served as Treasurer and State Promotions Chairman for the Florida Concrete and Products Association (FC&PA), and Chairman of the Board of Directors in 2000. He currently serves as the foundation chairman on the Board of Directors of the Boys and Girls Clubs of Palm Beach County. He also serves on the Board of Directors of Florida Public Utilities, the Board of Directors of Florida Concrete and Products Association, and is a former member of Fidelity Federal Bank and Trust North Palm Beach County Advisory Board. Troy attended the School of Business Management at Michigan State University.